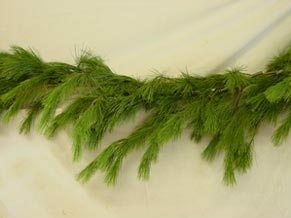 20' or 50' length of fresh, fragrant, long lasting cedar garland ideal for many decorating projects. 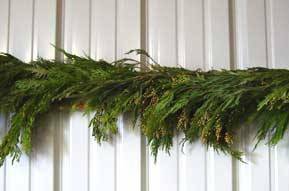 20' or 40' length of fresh, fragrant, long lasting incense cedar garland ideal for many decorating projects. 20' or 50' length of wonderful Balsam boughs. 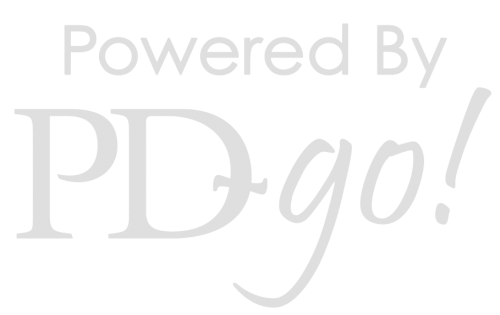 Best for outdoor uses. 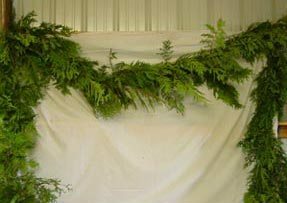 20' or 50' length of White Pine Garland. An old traditional favorite.